I left Persephone alone for a whole hour. 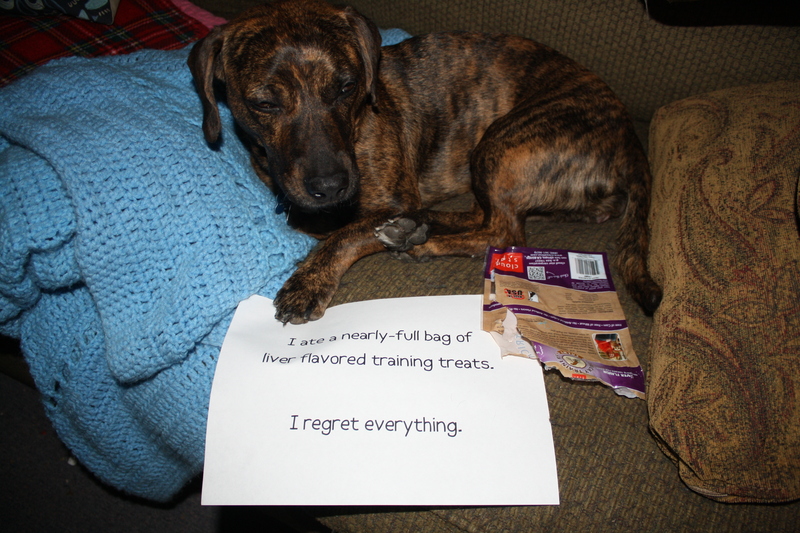 Her sign says “I ate an almost full bag of liver-flavored treats. I regret everything.” Poor girl had a bellyache the rest of the night. Posted July 23rd, 2015 . It doesn’t always pay to play piggy. Poor sweet girl. I have a long hair this exact color. His name is Rusty.